Well…here I am again! My second go at WIP Wednesday. 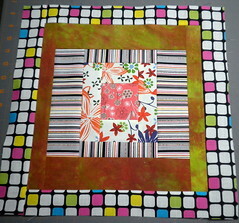 I’ll give you a look at the projects that I am working on and of course one completed project from last weeks post. 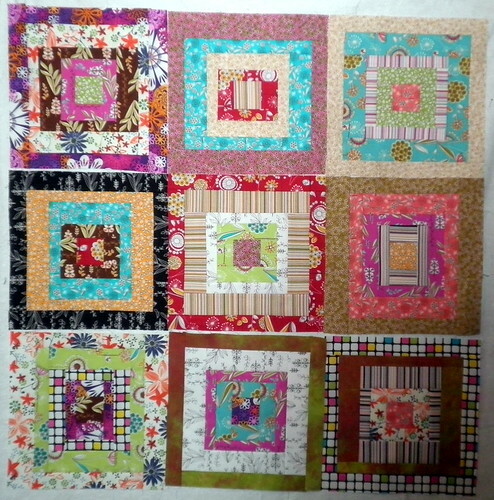 I managed to scrape together three more blocks from my layer cake of Dill Blossom Fabric. 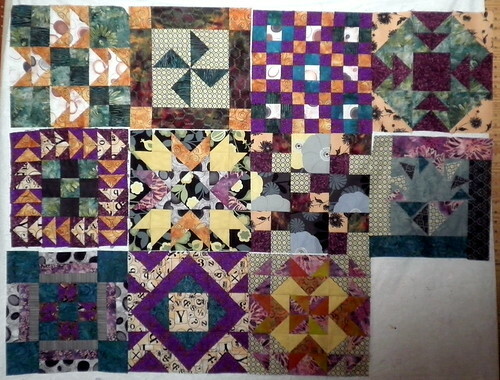 I don’t think a total of 12 if possible with this color scheme (I’m sure you can tell, but I also dipped into some of my stash to make this work…) So…I’m going to move ahead with 9 basic blocks. Still the same as yesterday – 11 blocks. Block 12 is going up tomorrow. 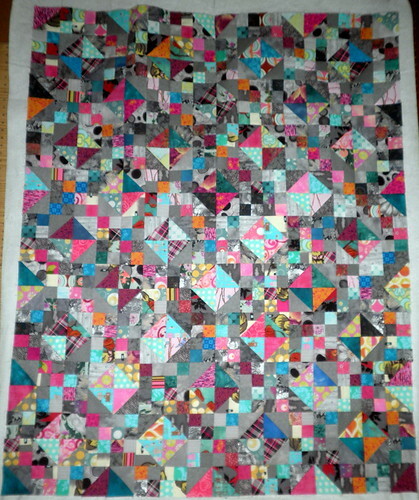 By next week I should have 13 blocks to show you! I’ve been sticking to my goal of at least 5 yo yos a day and things are progressing. 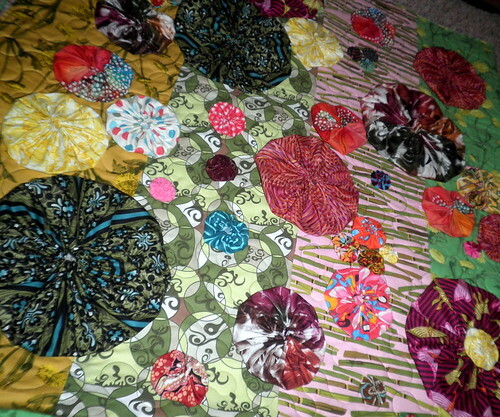 Next step…more yo yo’s and probably adding a binding to the quilt. 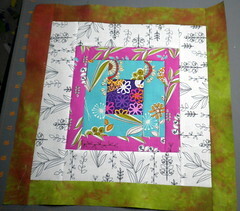 I do have another project that I have the fabric for. I’m not sure if I will post about it or not since it’s going to be a gift and I don’t want to ruin the surprise! 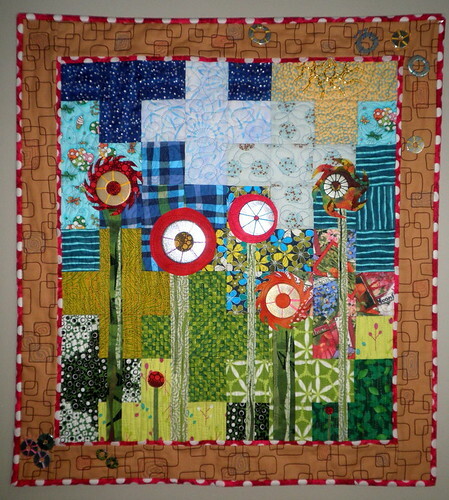 I can't wait to see how your dill blossom quilt turns out. 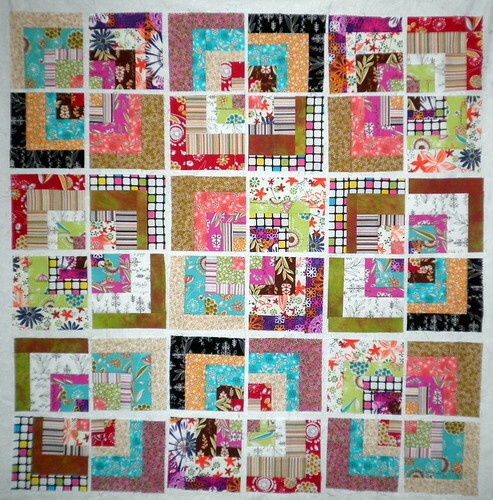 It's neat that your sewed the blocks and then quartered them. 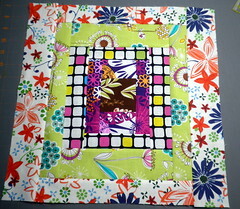 Wow, all of your projects are beautiful!! I love the Boxed In design. And your yo-yos are great too!